So much talk about soccer the last few weeks in the media. Of course it was understandable because The United States team was in the running. 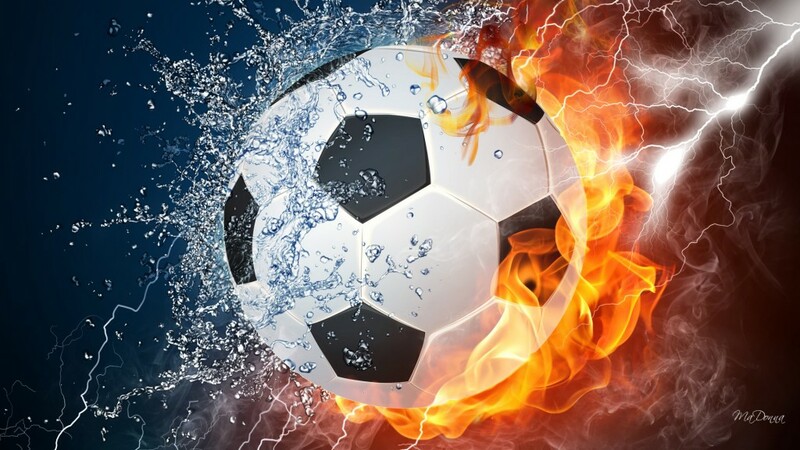 The conversation would always end up with the debate about two things; which sport is really “football” and why soccer is so popular around the world and not in the U.S. These questions come up every time there’s a world cup so let’s finally look at the “truth, justice and the bottom line” when it comes to this debate. First, I have to agree with the soccer aficionados when it comes to the name. I am the furthest thing from an expert but let’s be honest here, all one has to do is watch a few minutes of either game to summarize that soccer is really ‘football,’ American ‘football’ could be called ‘ovalball’ or ‘pointedball’ or even ‘brutalball.’ The name wouldn’t matter much, it would still be America’s favorite sport for many reasons. As for the reason American’s don’t like soccer, it’s the same reason why baseball is losing it’s popularity: low scoring. Americans like action but get bored with it when it does not produce anything! 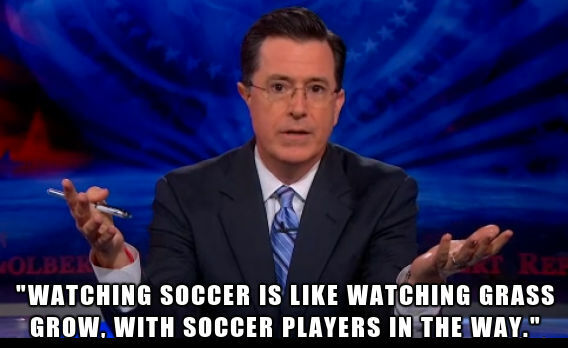 And that’s exactly what soccer is; a lot of action with little if any scoring. I would bet that 90% of Americans would say the same thing. Anyway, imagine that in football the goal line was reduced from 50 feet wide, which it is now, to 24 feet wide: the size of a soccer goal and about the size of the goal posts.. That’s under one third the space and opportunity to score. But wait, it gets worse! Now on that 24 foot ‘goal line’ we put a 10th player on each team and make him a ‘goal or end zone defender’ wherein it is his job to defend the newly established 24 foot end zone from any scoring by the other team. In essence this new man’s job would be the same as the goalie in soccer. Now since the objective in American football is not to get the ball into a goal but to get it into the end zone to score, we could call this new position ‘the end zone man’ instead of ‘goalie.’ Now take a wild guess on what would happen to the scoring in Football if this were implemented? Of course the scoring woiuld plummet some 60-80% and we would be left with an American version of soccer!